Truck accidents are probably the most severe and fatal of all road accidents. Although statistics might show that accidents cannot be avoided, the fact is - most accidents arise as a result of human negligence. Truck accidents frequently lead to debilitating damage to body parts such as the brain, spinal cord, the limbs etc.. This often causes a permanent loss of important body function and in extreme cases, death. Pursuing legal action can go a long way in easing the financial burden that comes with hospital bills or provide support those left behind. 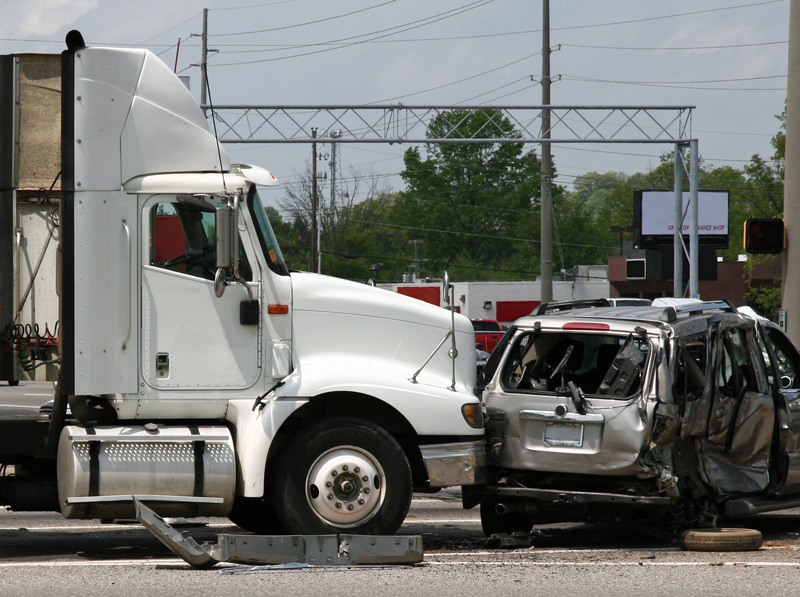 At PM Law Firm, we are experienced truck accident lawyers that will help you get the compensation you deserve. Humble, TX has numerous highways that are frequently plied by commercial trucks. Our attorneys have helped many truck accident victims fight for their claims, and to good effect. Because of their high accident risk, trucks are required to carry more insurance coverage than smaller cars. Their speed limit is also much lower and their safety standards are more stringent. Our experienced truck accident attorneys have full knowledge of all these standards and are ready to help you. We can help you investigate any violation of the law on the part of the truck driver or owner. If any violation is detected, the trucking company or driver becomes even more liable. Our experienced truck accident attorneys are good at what they do. We do not simply hope to get compensation for our clients. We strive to make the negligent party pay in order to prevent future occurrences. In some cases, the negligent party could be the truck driver while in others, the trucking company may be responsible for the accident. If the driver might have been texting or drunk while at the wheel, the driver is held responsible. However, if the truck accident resulted from a mechanical fault to the truck due to improper maintenance, the trucking company would be held liable. You do not need to worry about all these details. Our personal injury lawyers are prepared to carry out the investigation on your behalf and ensure you get the compensation you deserve. Even in cases that seem easy and obvious, trucking companies, their insurance carriers, and their representatives still want to sweep your case under the rug. They may attempt to appease you with a paltry settlement without taking all your claims into consideration. Never be in a hurry to sign an agreement with them. You should hire experienced truck lawyers at the PM Law Firm to help you get the justice you deserve. We have been in the business for many years and we are aware of the cheap tricks they may want to employ. Because we are highly meticulous about our work, we can help you carry out a thorough investigation and build an almost infallible case. While we would also prefer an out-of-court settlement, you should not be bullied into settling for less. If you employ our experienced truck accident lawyers, we can help you with the negotiations so you get the compensation you deserve. If the attorneys of the company or their insurance carriers are not being reasonable, we are not afraid to take the fight to the court. Indirectly, you are protecting fellow innocent citizens from harm. As long as you allow us to help you gather evidence and build a case, we will do all we can to ensure the court battle is won. If you or loved one have been hit by a truck in Humble, TX, you should not be left to suffer for someone else's mistake. We are ready to take up your case and ensure you get justice. Call us today and let us start you off right on your road to recovery.